It’s the beginning of spring, that time of the year most of us traditionally set aside for a thorough cleaning of the house from top to bottom. As the weather gets warmer, nature compels us to open the doors and the windows to welcome fresh air and the sunshine in. Instinctively too, our bodies shake off the blues left by winter and start craving for activity and work. And as we do look for something to do, it seems we find disorder and dirt all about the house, having piled up apparently untouched during the long winter months. Carpets in particular can look the worse for wear because of the accumulated grime and dust while we were on our winter break. They can also be hard not to notice because once the snow outside begins to thaw, they would also start to smell embarrassingly bad. In many Vancouver homes, the start of spring is the customary time for getting professional carpet cleaning help. Carpets are expensive investments and all carpet manufacturers recommend that they be given professional cleaning treatment at least once a year if we want them to last. Here, as in many other North American and European places, the start of spring is the preferred time for getting that professional carpet cleaning treatment. During winter, it is typical for many of us here in this part of the world to neglect routine maintenance of our carpets, especially if we still have to make a living, often because it is too cold to do house chores and sometimes because we are just too busy preparing for and enjoying the holidays. Thus possibly for months on end, we may not have even vacuumed our carpets. Grit and germs dragged into the house by dirty, muddied shoes may have already been buried deep into the fabric. It is therefore no wonder that for many of us here, getting our carpets professionally treated is the first order of business in our spring cleaning checklist. Of course, we can also have our carpets professionally cleaned at some other time besides start of spring. In fact, many professional carpet cleaners would prefer that you hire them on a winter when it is less humid and there is less dust and allergens in the air. 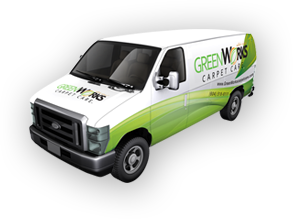 At winter, it is easier and quicker to have the carpets cleaned and dried. However, spring cleaning is a tradition that many of us hold dear not only for practical reasons but also because of its cultural, even religious significance. Our spring cleaning tradition was carried over by our forebears from Europe, who in turn may have been influenced by Persian, Jewish, some say even Chinese customs and beliefs during the very early ages. In these ancient cultures, the start of spring coincides more or less with the start of their new year. For them, spring cleaning, when the house is cleaned very thoroughly from top to bottom and from the outside to the inside, is a ritual for the purification of body and soul in preparation for the new year that is ahead of them. In any event, whatever the reason, whatever the season, having your carpet cleaned by a professional at least once a year is one sure way to safeguard health and protect your money’s worth.